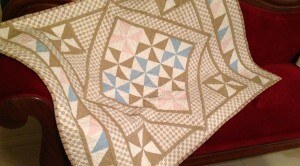 I made this original Pinwheel Medallion baby quilt for a lady who was expecting her first baby boy. Ever since I saw the 1834 baby cot cover, quilt made by Nancy Horsfall ( and not in real life), I have found this quilt to have an unrivalled inspirtional appeal. The quilt I made is nothing like her quilt however, it did give me me a sense of really wanting to make an original baby quilt. Her quilt continues to inspire me. The originality of her quilt is fantastic. That quilt is still in my mind and will continue to inspire me to more original works. I don’t wish to emulate or recreate her work but rather find new ideas for quilts in the future. For my Pinwheel Medallion Quilt quilt. The background fabric was my starting point of inspiration. 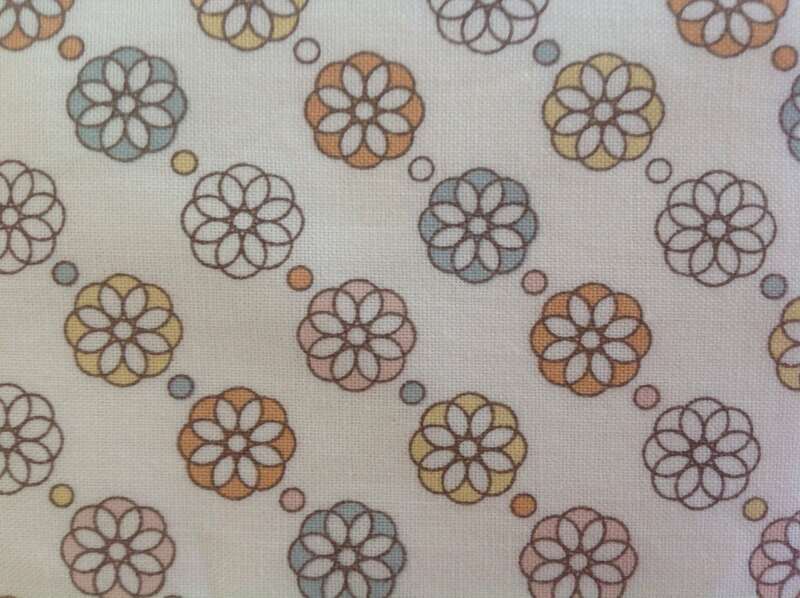 The fabric design is soft and pretty and I thought would look lovely for a baby quilt. The fabric is also directional so that creates it’s own challenges too! Just one fabric can be the starting point of a quilt. In this case the fabric colours and the movement of the design, were, I thought, a perfect starting point. 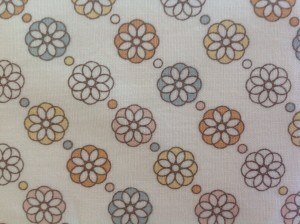 I decided to use some solid pastel fabrics, which would be very complementary to the inspirational fabric. I also draw from the solid and strong designs of the Amish quilts which continue to have a powerful design appeal. I began making solid pinwheels in blue and white, coffee and white and pink and white. Once the central nine pinwheels were made they became the centre point of the quilt. I then constructed the corner pinwheel units followed by the border units. I constructed the border units in sympathy with the directional nature of the fabric. Sorry that sounds a bit dry, but I think the end result is very pleasing, even though the construction of the main parts of the quilt is simplistic. So…. ..Choose the fabric you like, to be the focus fabric for your next quilt, then work from that point. Maybe you can create an original quilt too!